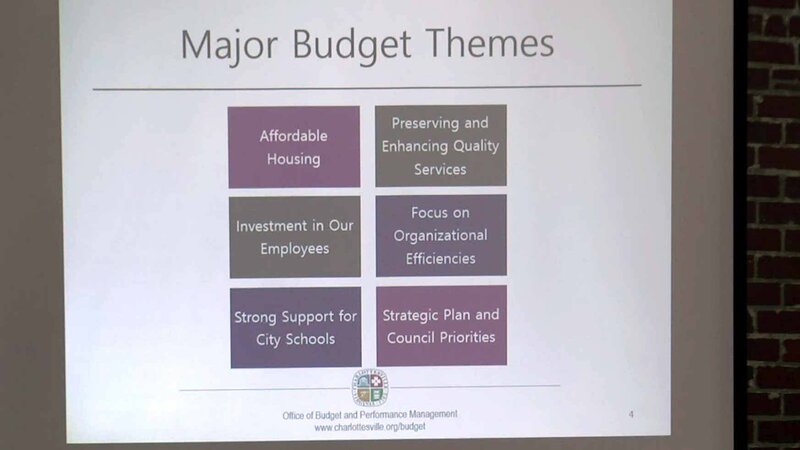 Charlottesville City Council is still working to address how the city's budget will be split to meet the needs of the citizens. CHARLOTTESVILLE, Va. (WVIR) - Charlottesville City Council is still working to address how the city&apos;s budget will be split to meet the needs of the citizens. On Saturday, people within the community gathered at Key Recreation Center for a budget forum, to voice their opinions on how they feel the budget should be spent. “This is really allocated to provide an open forum for people to come and speak for as long as they want and as many as they want,” said Heather Hill, Charlottesville City Council. At the top of the list was affordable housing and education. Kathryn Laughon, a member of the Charlottesville community, said, "As a city resident, I can tell you I&apos;m more than willing to pay more in taxes if that money is going toward those kinds of things." “Expand the relief programs for tax relief programs for low-income homeowners to include more people eligible for relief,” said Mike Massey, another Charlottesville community member. Hill stated, "Traditionally in moving forward our schools are one of our biggest funding sources that we provide for and obviously public safety but as you can see in this year’s budget we&apos;re looking at 10.3 million and in upward, maybe 11.3 million towards affordable housing and that comes in many different forms." The city leans toward a three-prong approach to help get more funds to help solve the affordable housing crisis. "So it would be an increase in the real estate tax, the meals tax and the lodging tax of one cent increase,” said Mayor Nikuyah Walker. Other concerns were recreation activities. "We also hear a lot about the importance of our trails and those types of infrastructures as we look to kind of provide multimodal access to various parts of the community,” said Hill. The next Charlottesville City Council Budget Work Session will be at 6 p.m. on Tuesday, March 19 at the Water Street Conference Center.